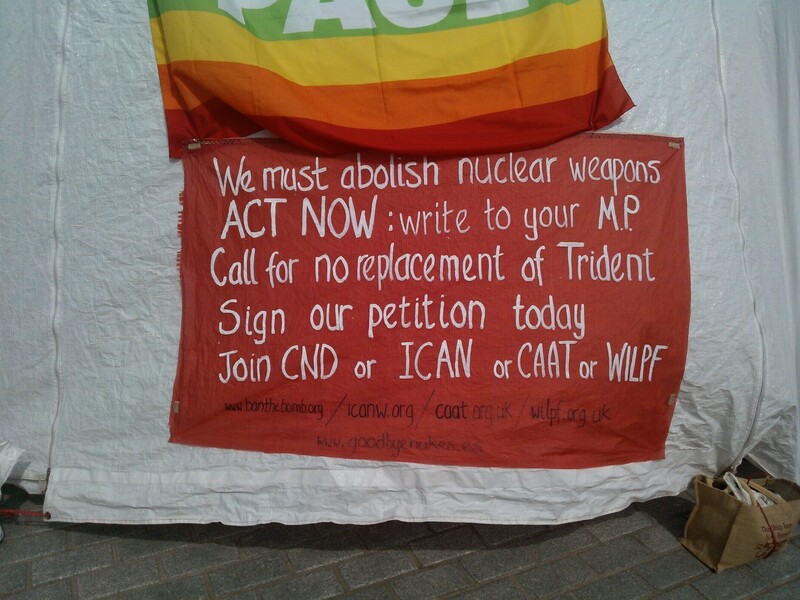 David Cameron has announced MPs will vote on whether to renew the Trident nuclear weapons system on Monday 18th July. This in spite of the fact that he has resigned and a new Prime Minister is yet to be elected and that the country is still reeling from the Brexit decision. No doubt these things have lead to this rush to squeeze a vote on Trident in before the summer recess but a selfish desire to unite the Tories and split Labour is no reason to take such an important and expensive decision in haste. People across Scotland will be braced for yet another decision by Westminster politicians to be imposed on us. But it must be challenged and not swept away from public scrutiny or media attention. We won’t be silenced! Some locations have already decided on a place to meet. Check the Scrap Trident.org website as we add more. If your community is not on the list please contact us and suggest a location. We need everyone working together, from local CND, SNP, Green, Scottish Labour, SSP, Yes groups, Radical Independence, Women for Independence, faith communities and trade unions, not forgetting MPs, MSPs and Councillors to have a huge turnout across the country. 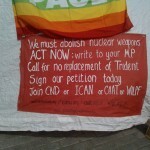 UK national CND demonstration, starting at noon. Bus available. All are welcome (subsidised places available). Book here. 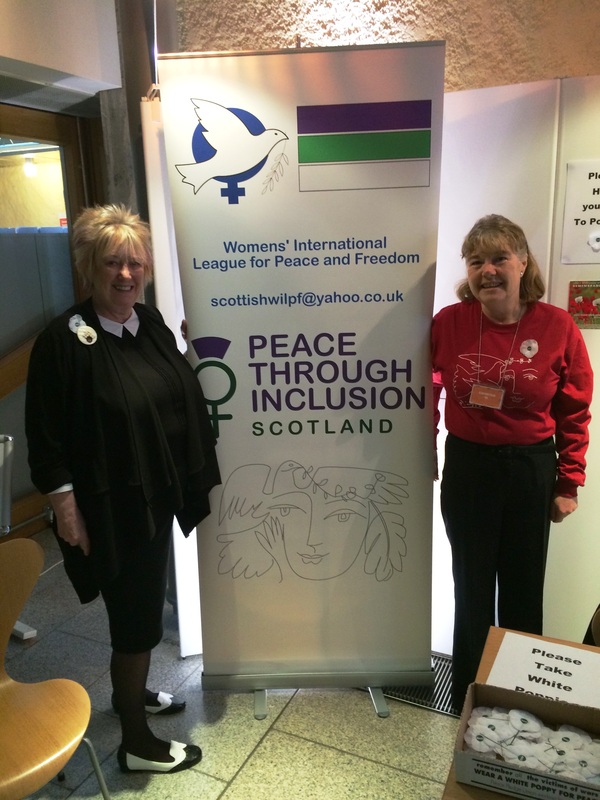 Scottish WILPF members joined in the ceremony outside the Scottish Parliament. 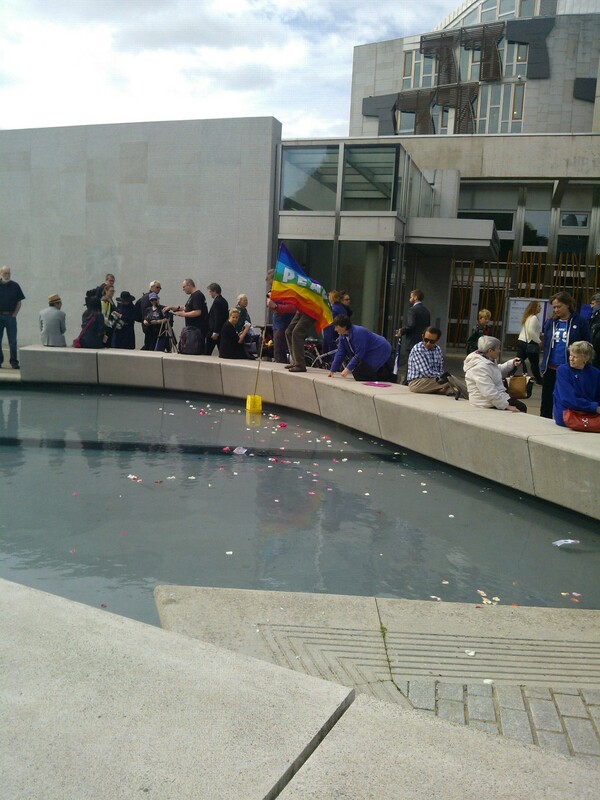 Flowers and petals were scattered on the pond to commemorate those who died. 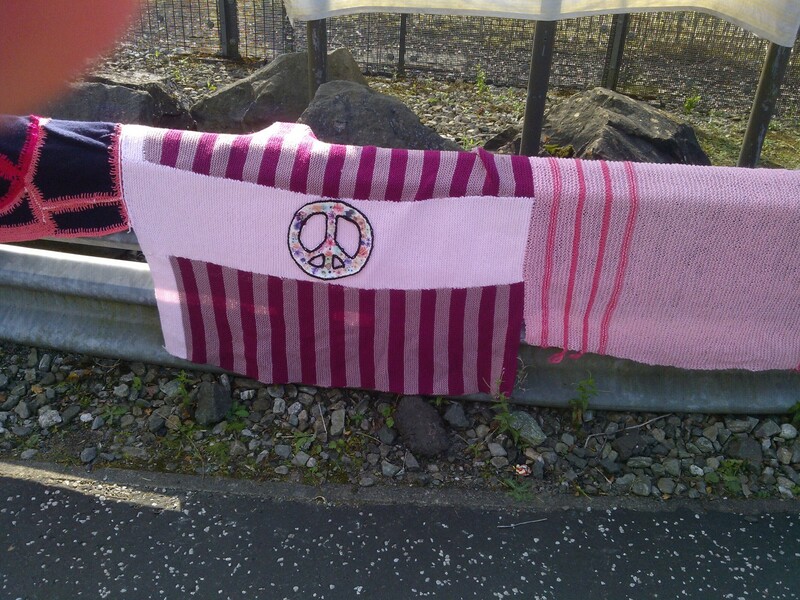 Scottish WILPF is a member of Scottish Peace Network (SPN) and will be joining join SPN and the Quakers Quakers for a peaceful presence during Armed Forces Day. Meet 11am outside Quaker Meeting House, 7 Victoria Terrace before moving on to Upper Bow for the 11:30am start of the parade. After the main parade moves off, we will go down Victoria Steps and along to Grassmarket to be there as the parade arrives about 12 noon. 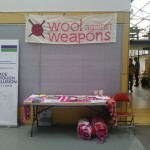 In the Grassmarket look out for our banners: ‘NO MORE WARS’ and ‘Let Our Love for Humanity Speak Louder than the Drums of War’. 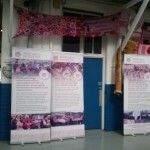 We will also have an SPN leaflet to hand out. Please bring your own banners too. Based on experience last year it seems a good idea to try to stay together in case we meet with any antagonism. Please let’s all remember our nonviolence and respect for others throughout. The following is a message from Penny Stone about a singathon she is organising to mark International Women’s Day on Saturday 7th March St. John’s Church Hall Princes Street, Edinburgh 15.00 to 23.59. This email is asking you to save he date, Saturday 7th March, St. John’s Church Hall Princes Street, Edinburgh 15.00 to 23.59. (or some of that time!) to come and sing a song or two with us. Penny Stone will lead most of the singing, most of which will be singalong songs, or at least singalong choruses. The themes for the song choices will be women, international, peace and freedom – a pretty broad lot of songs! National Library of Scotland 6pm. 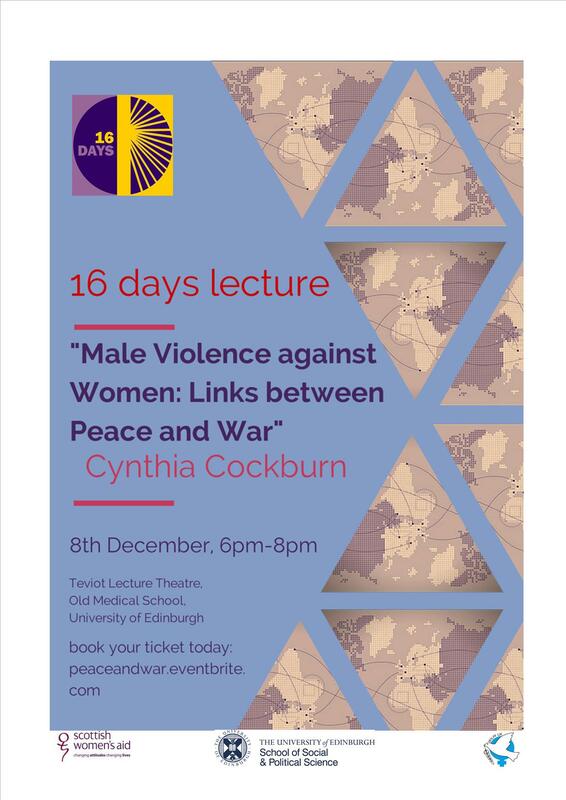 Helen Kay will speak about the Women Who Worked for Peace in WW1. 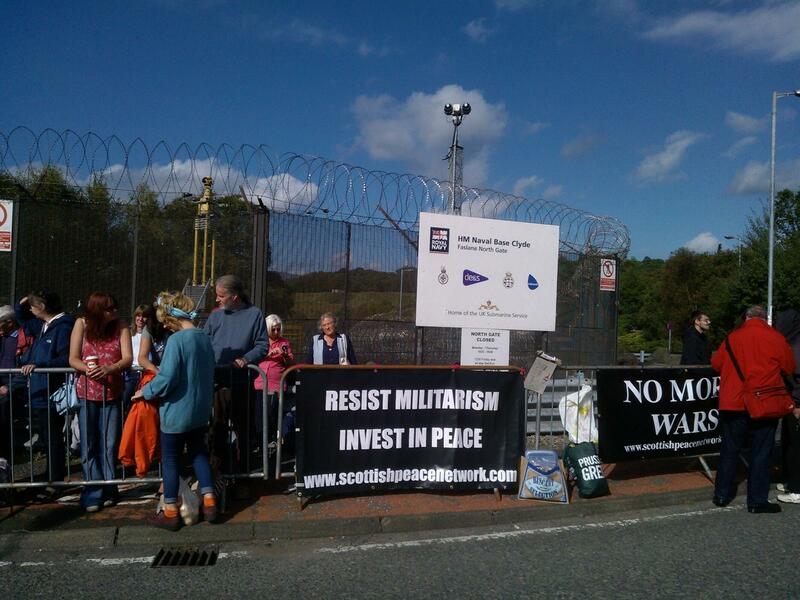 Global Day of Action against Military Spending, blockade of Faslane Nuclear Submarine base. Transport will be arranged. More details to follow. 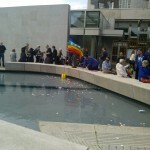 Stall in the Scottish Parliament where white poppies were given out to MSPs, workers and guests. Scottish Branch member, Anne Scott, with Christine Grahame MSP, SNP, Midlothian South, Tweeddale and Lauderdale . At the White Poppies exhibition in the Scottish Parliament November 4th to 6th. 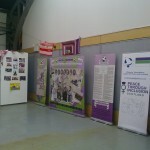 Exhibition sponsored by Jean Urquhart MSP, Independent, Highlands and Islands. Photo taken by Simon Ritchie. Forest Cafe, Lauriston Place, Monday 3rd November evening – time to be confirmed.